​"LISTEN is a great book with beautiful illustrations! As a teacher I see a lot of children's books; this is one of the best I've seen!" 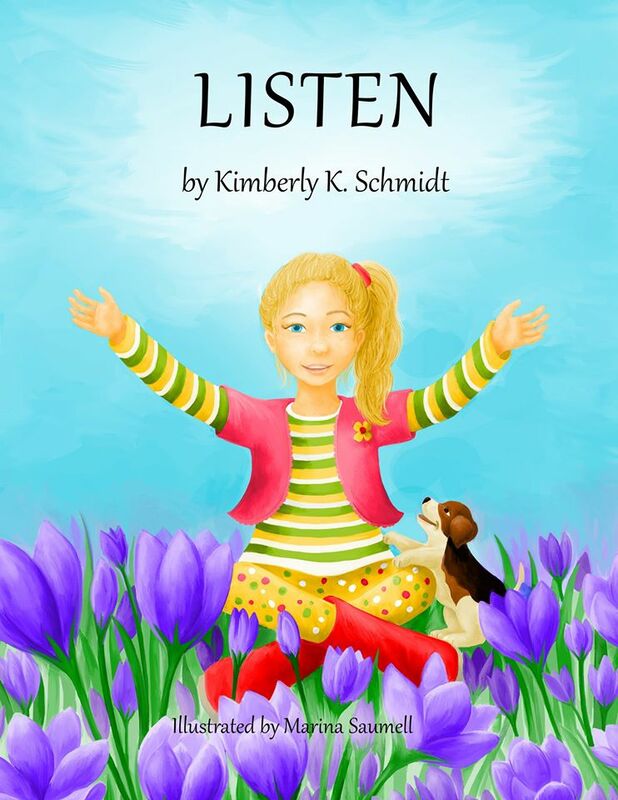 ​Published in 2015, Listen was Kimberly K. Schmidt's children's book debut. Featuring gorgeous illustrations and a relatable storyline, Listen is an inspirational and uplifting story for children ages four to ninety-four. ​Young children will enjoy the "Find the Cat" activity as they travel through the story with Anabel, getting lost in the illustrations and searching for that pesky calico cat that is hiding somewhere on every page. This peek into the lives at Grayson Farm follows a goat named Henry who seems desperate to know what he is — only to discover that it's who he is that counts. After a long search, Henry finally comes to realize what he truly is. And that it is the best thing of all to be. ​The Hen House is such a delightful book! It has so many lessons to teach to children, about friendship, loyalty, and patience. The pace of the book is captivating for adults as well as young readers. I love this tale and highly recommend it- A must read! Released in 2016, The Hen House, is the first chapter book in the "Adventures at Grayson Farm" book series that is perfect for children ages 8 to 11. Lydia's Gift is the second installation in the inspiring chapter book series “Adventures at Grayson Farm” published in 2017 and features five young horses, including the main character, Lydia, one motherly broodmare, two delightfully fully crows, two brave farm dogs and one very vain calico cat. Meet a delightful cast of animal characters. They are fun, realistic, and varied. They will all capture your heart. Lydia, most of all, will surprise you with her courage and grace in the face of danger.